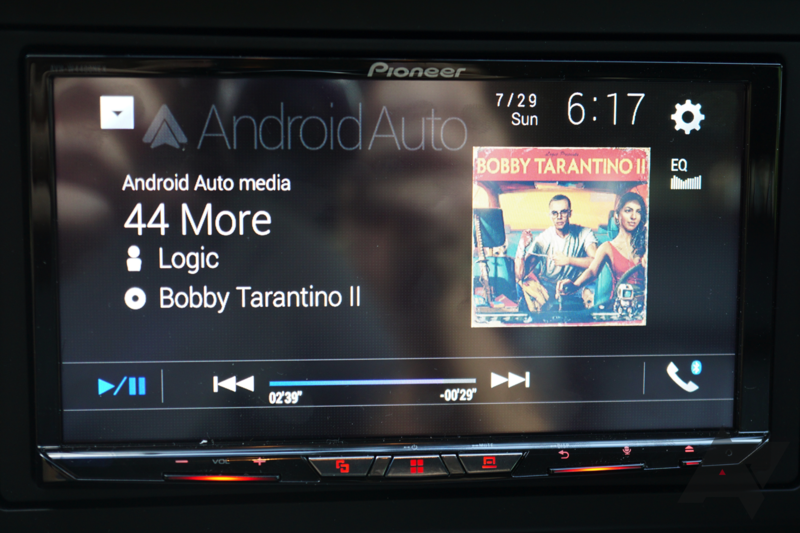 A few months later, Pioneer announced two of its own wireless Android Auto head units: the $700 AVH-W4400NEX and the $1,200 AVIC-W8400NEX. The former, which is the cheapest wireless AA unit on the market, is the one I'm reviewing today. While I love that this head unit was single-handedly able to put the latest and greatest tech in my 10+ year-old car, there are quite a few bugs that desperately need to be ironed out. Convenience It's so nice to be able to get in the car and drive without having to worry about plugging anything in. Audio options Bluetooth audio will be new for most people who install these units, and HD Radio and Pandora are on board as well. Setup The wireless connection initiated so quickly that I didn't know it had happened. Bugs Google really, really needs to make wireless more stable. There's a multitude of issues that I go into below. Price $700 is a lot of money for a head unit, especially considering that the cheapest Android Auto head units can be found for around half that. Budget a couple hundred more for installation. 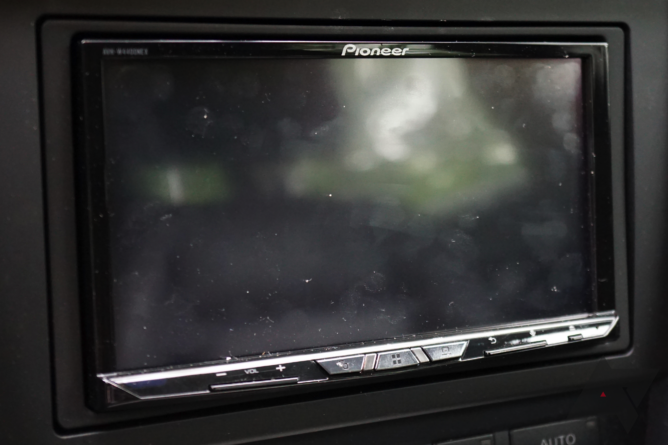 Pioneer arranged for the AVH-W4400NEX, along with a backup camera, to be installed at Sound Waves in Parsippany, NJ. 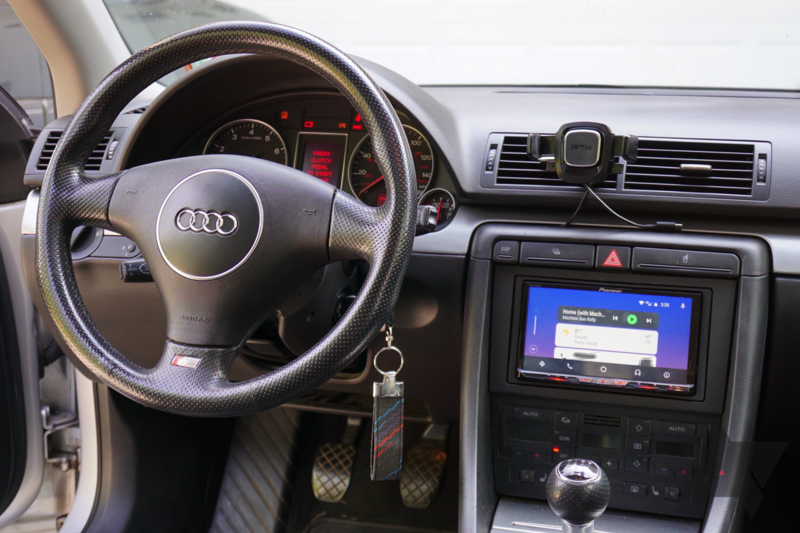 The subject of the installation was my 2005 Audi A4 Avant, which left the factory with the standard Audi Symphony radio (no nav, no screen) and the Bose audio system. 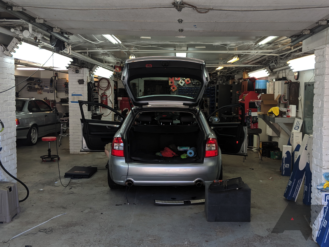 I arrived at Sound Waves at 10:45am one Thursday morning and decided to wait in the shop for the installation to be completed. In retrospect, I should have had a friend drive me back, as I didn't end up leaving the shop with my car until around 4:00pm. I can't complain too much, though; the shop had ice-cold AC, comfy sofas, and movies constantly playing in the background. 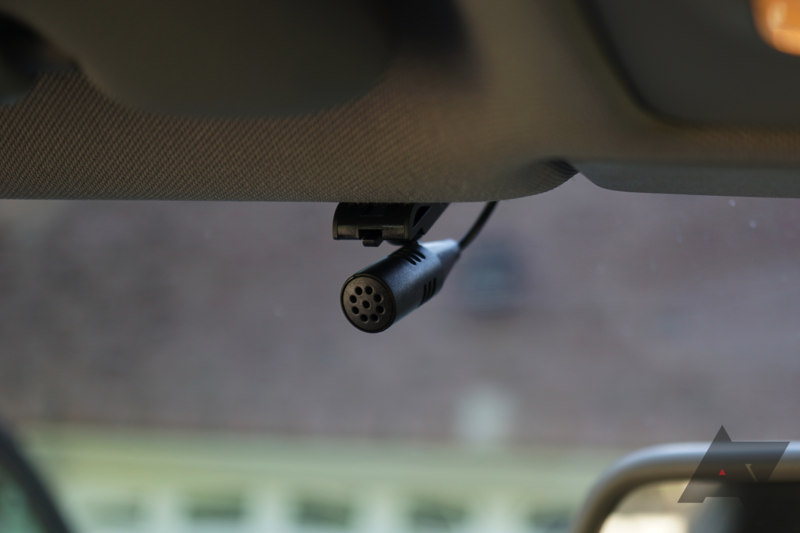 A Scosche USB Type-C cable was wired through some trim directly above the screen for setup (and wired connectivity) purposes. 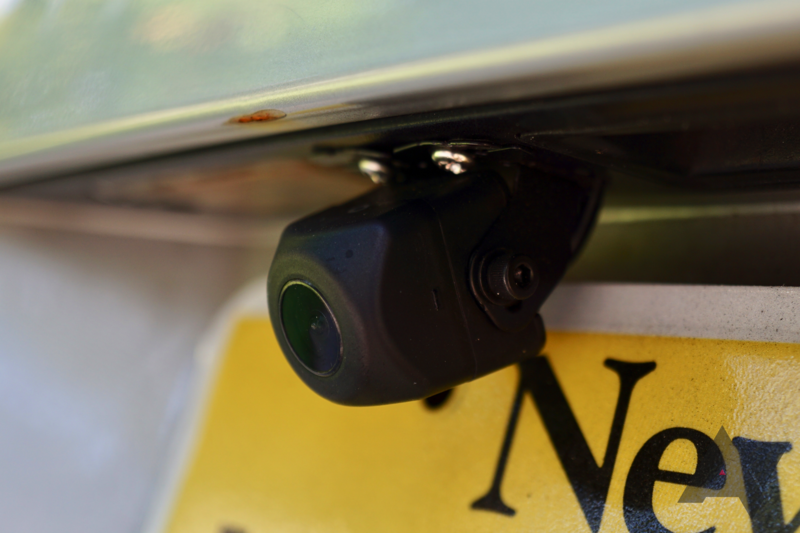 The backup camera was installed between a license plate light and my trunk handle with two screws, and the microphone was tucked into the headliner. A female USB-A connector was wired from the head unit to the glovebox, and a GPS antenna on the right corner of the dash (Android Auto apparently requires an external position source - thanks, David). 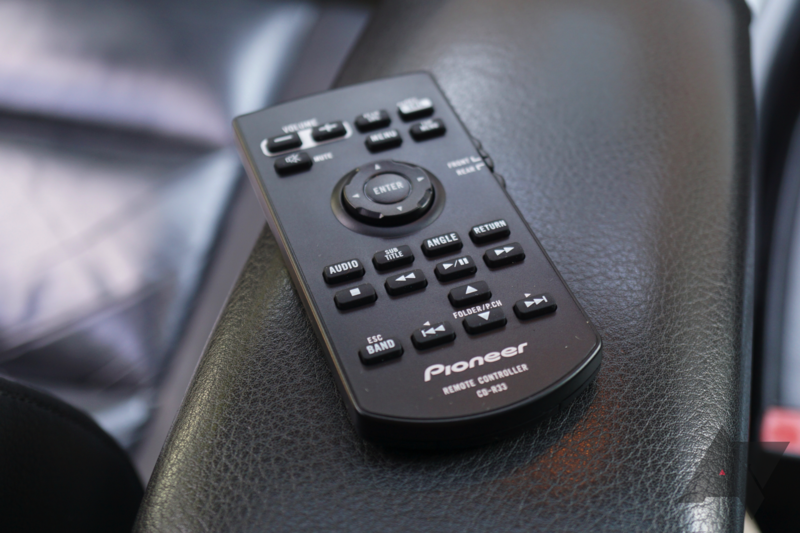 A small plastic remote comes in the box, giving backseat passengers a bit of control. In general, I was impressed with the AVH-W4400NEX's display. The 7.0" 480p resistive touchscreen is nowhere near as bad as it sounds on paper; it's visible in all lighting scenarios, and I didn't once think that the resolution was too low. As expected, it does attract fingerprints, and I've started to keep a microfiber cloth in my door pocket to occasionally wipe it down. Since the screen is resistive, a bit of pressure must be put on it when tapping anything, but it's really not too bad. I suppose it does get a bit annoying when trying to type in a destination, but you'll be using voice control for the most part anyway. Prior to the install, I had been using a cassette-to-3.5mm adapter, which I also had to attach a dongle to because Google didn't want to put a headphone jack on the Pixel 2 XL. The sound quality actually wasn't terrible through that setup, but it obviously left something to be desired. My previous setup was... not the most modern. This will obviously vary by car and what audio equipment it was delivered with (or upgraded with after the fact), but I noticed a huge jump in clarity once the unit was installed. Of course, that's not exactly surprising given my previous setup, but I'm wowed every time I get into the car and start playing Spotify. 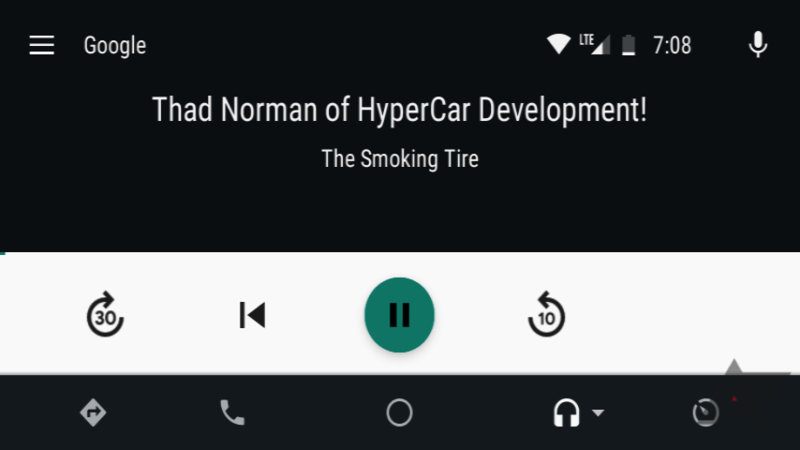 The default (non-Android Auto) music UI is rather 2005-looking, but it gets the job done. The head unit also touts HD Radio and Pandora capability, both of which sound decent and have similarly dated UIs. Volume is adjusted via an oddly-thin rocker on the bottom left, but it works fine and the buttons have a nice click to them. 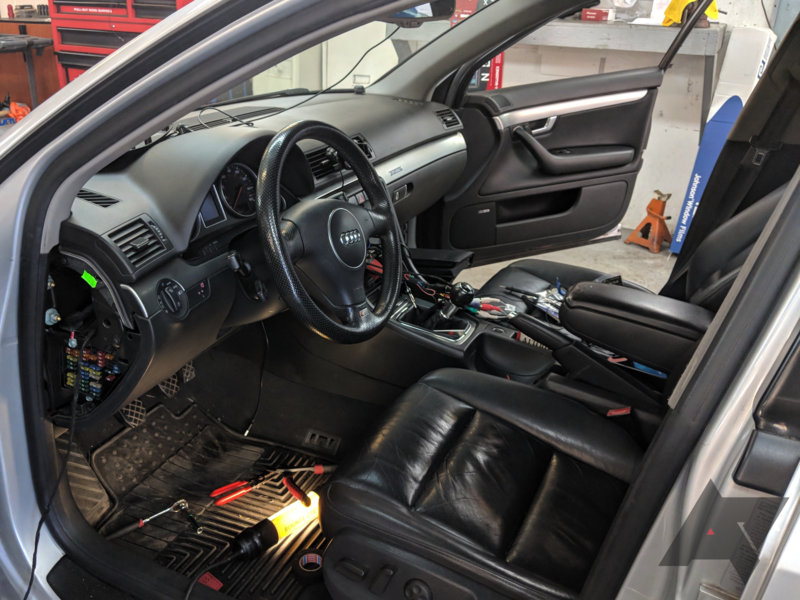 My car unfortunately doesn't have steering wheel controls (which this head unit supports, like most do), so I had to make do with the rocker. As with most backup cameras, mine is wired to override anything on the screen when I shift into reverse. Unfortunately, there aren't any guide lines on the screen, but since that's not really plausible with aftermarket installs, I can't complain. The camera has never once failed to activate on me, and it can also be entered via the main menu if you just want to see what's behind you. 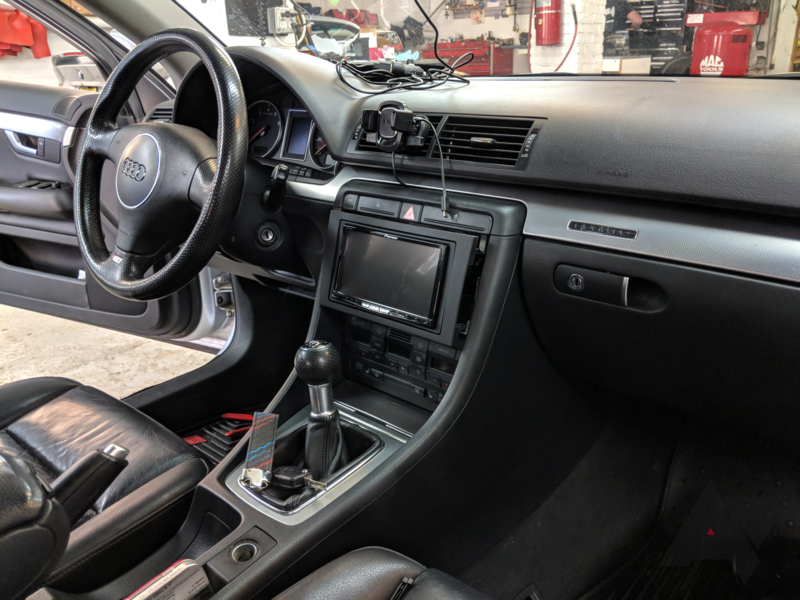 While the camera made the installation about five times more complicated and probably a lot pricier than it would have been with just the head unit, it's definitely a nice addition. 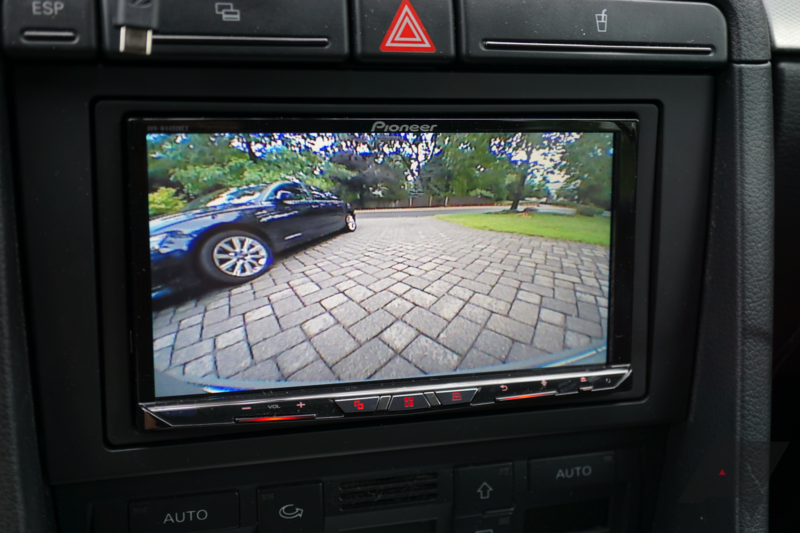 If you have an older car, especially one that's hard to see out of, you may want to consider adding a backup camera when you have a head unit installed. These head units come with a ton of personalization options. The kind folks at Sound Waves put a background with an Audi logo on it, which, while neat-looking, did distract a bit from the rest of the UI as everything is transparent. I decided to switch it to a plain black. 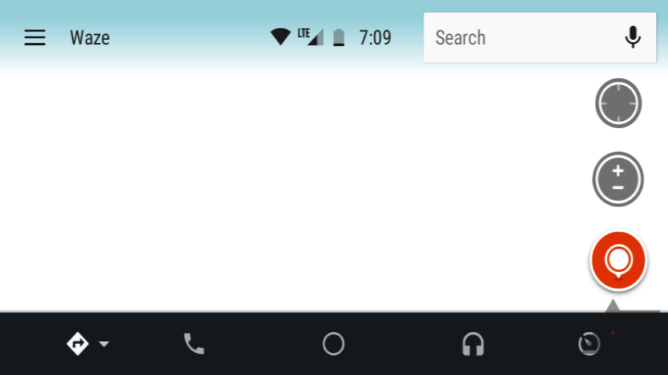 Wireless Android Auto works by replacing the USB-C data cable you'd normally use with a Wi-Fi Direct connection. A USB-C cable is necessary for setup, and you can keep using it in wired mode if you choose to. Right now, any Android 9.0 P phone and above will support it, as well as any Pixel phone and the Nexus 5X/6P with 8.0 Oreo and above. Some other Android phones running 8.0 Oreo and above will soon as well. I have a Pixel 2 XL on the Android P developer previews, so I was set. Getting wireless Android Auto up and running was surprisingly easy. I plugged the USB-C cable into my phone, and since I already had the app installed, Android Auto appeared on the head unit within seconds after tapping some permission-related things that had popped up on my phone. At that time, I was already on my way home, having planned to set up the wireless functionality when I got back. What you'll be seeing any time you get in the car. To my surprise, my phone automatically connected wirelessly even though I hadn't touched anything, and I only noticed when I got home and unplugged my phone. I'm still not sure why it did so since the phone was plugged in the entire time; I thought that the USB-C cable might have disconnected from the head unit, causing the wired connection to drop and the wireless to kick in, but who knows. 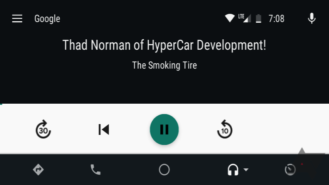 When our own David checked out a wireless Android Auto demo at CES, he noted that he found performance to be pretty good, though it's variable depending on what phone you're using. With my Pixel 2 XL, I found the same to be true. 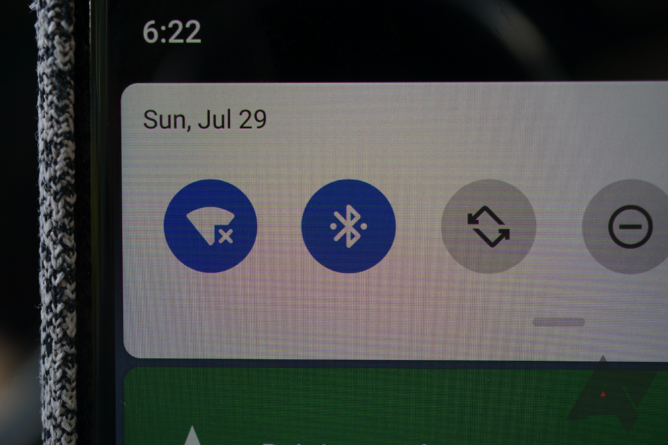 Animations aren't the quickest, but they aren't exactly quick on wired Android Auto either. Aside from opening Waze, which takes a really long time to initialize every so often, everything moved along at a decent pace. 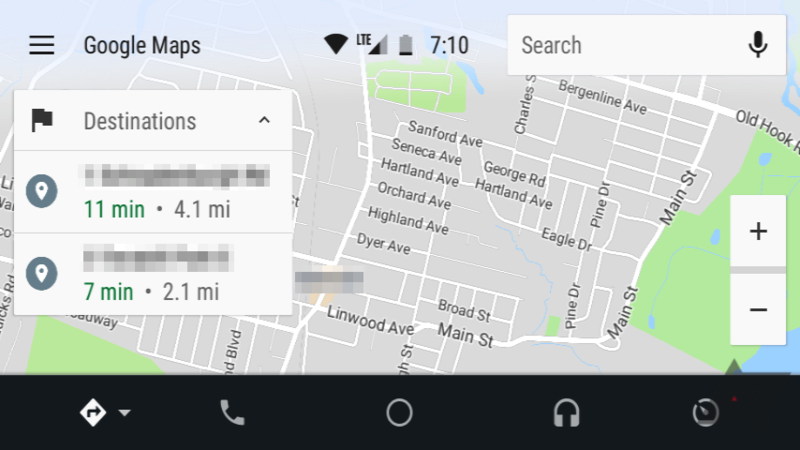 As long as I had Bluetooth on when I started the car, Android Auto would automatically kick in, as the Wi-Fi connection would occur automatically even if I didn't have Wi-Fi on. But the worst of it came when, a few days after installation, the head unit decided to just stop opening Android Auto. I'm still not sure why this happened; my phone was still connecting to the head unit's Wi-Fi and Bluetooth connections, but the head unit simply refused to enter Android Auto. I eventually fixed it simply by plugging my phone for a second back into the USB-C cable that had been wired above the screen, but that was extremely frustrating. 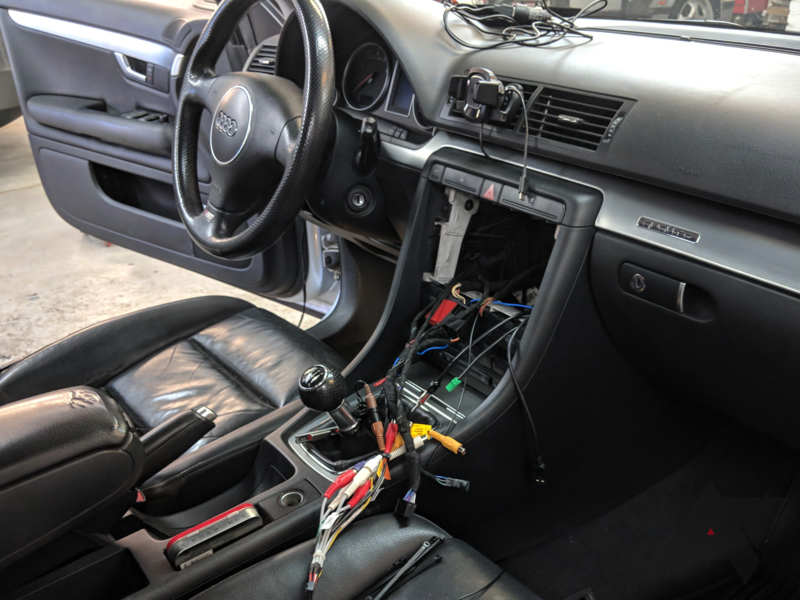 Not what you want to be doing with a wireless Android Auto unit. Aside from convenience, one advantage of wireless Android Auto worth considering is the ability to use faster charging. With wired Android Auto, your charging stream is limited, but you can use whatever quick charger you'd like with wireless Auto since your USB-C port isn't occupied. Hell, if your car has a wireless charger built-in like many new cars do, you can go full-on wireless, though that probably wouldn't be very fast either. We already did a review on an Android Auto head unit back when they first started trickling out, so I won't go into too much detail regarding Android Auto itself as it hasn't changed much since then. 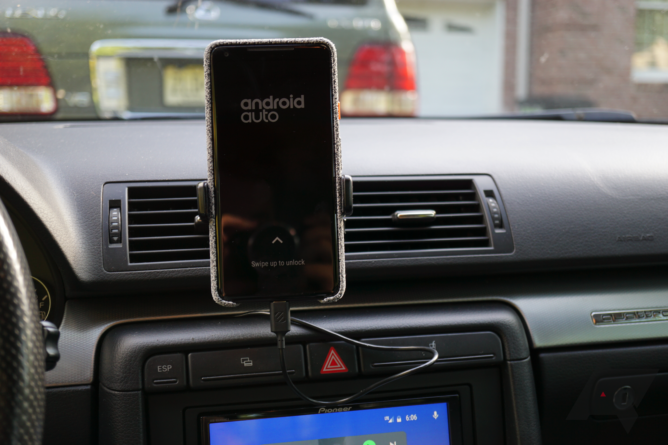 I'm a fan of Android Auto as a whole. I love being able to get turn-by-turn navigation with live data from Google Maps and Waze, having my music at a fingertip's reach, and receiving notifications, all without having to put my phone in a cradle on my dash like I've done for so long. There were only two issues I encountered with Android Auto that someone with a wired Android Auto setup might stumble upon. When I tried to use the voice commands to "navigate to Home Depot" or "navigate to the nearest Home Depot," it kept telling me that I didn't have a home address set. The odd thing is that I do have a home address set in Maps on my phone, but whatever. left: Google Podcasts. right: Pocket Casts. As I was working on this review, Google began properly supporting its Podcasts service on Android Auto, though I still haven't seen it fixed on my end; I still have to start a podcast from my phone to listen via Google Podcasts. 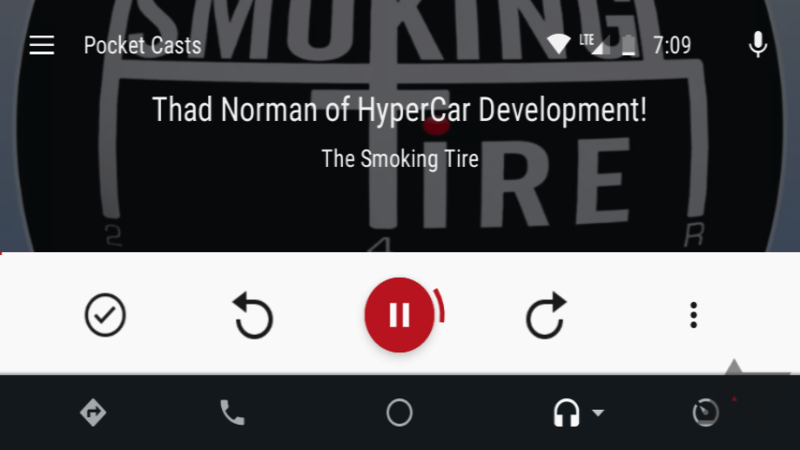 On a tangentially related note, Pocket Casts only allows starred podcasts to be initiated from the head unit, but that's not nearly as annoying. 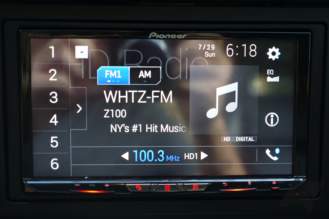 If you're in the market for an Android Auto head unit and you want wireless functionality, the Pioneer AVH-W4400NEX is the most inexpensive option, and not a bad one. At $700, it's still not cheap for a head unit, but you have to pay to play. My primary concern with this unit (and probably any other wireless Auto unit) is the sheer amount of bugs. 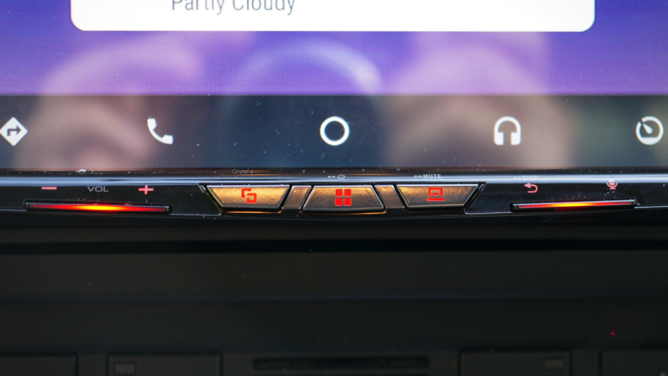 The stutters in audio playback and occasional random reboots are one thing, but the head unit itself somehow losing connection with the phone is something else entirely. Simply plugging my phone back into the head unit fixed it, but I spent plenty of time scratching my head as to how/why this happened. 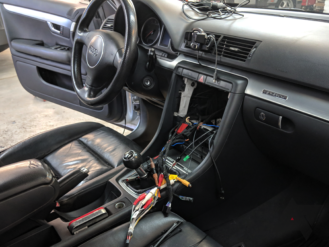 When you're spending this much money on a head unit, things like this shouldn't be the norm. Wireless connections will never be as perfect as wired ones, so I'm not sure to what extent these issues can be sorted out. Bear in mind that Android Auto itself frequently has bugs as well. 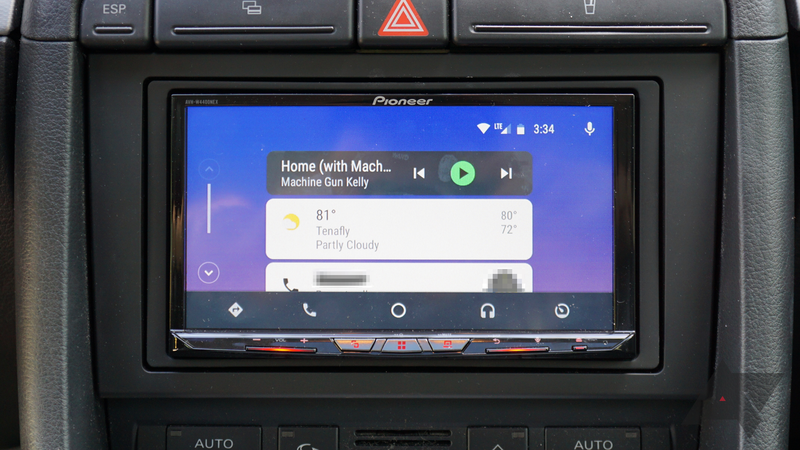 If I were to buy another old car tomorrow (which is extremely likely) and want to put Android Auto in it, I think I'd opt for something like Sony's $350 XAV-AX100 or Pioneer's MVH-2400NEX. No, things wouldn't be as convenient because these units don't support wireless Auto, but they're also ~$300 cheaper and plugging your phone in isn't all that hard. Over time, the prices of wireless Android Auto head units should settle down, and the stability should be at least somewhat improved. I would reconsider a wireless AA unit when that happens. The Pioneer AVH-W4400NEX can be purchased at Amazon, Best Buy, Crutchfield, Pioneer, Sonic Electronix, and Walmart.